The legend of Nokia 3310 is back and it also announces the grand comeback of the Nokia brand in the feature phone segment. Who would've thought you could buy the Nokia 3310 again after more than a decade of it being discontinued, that too in a new avatar. 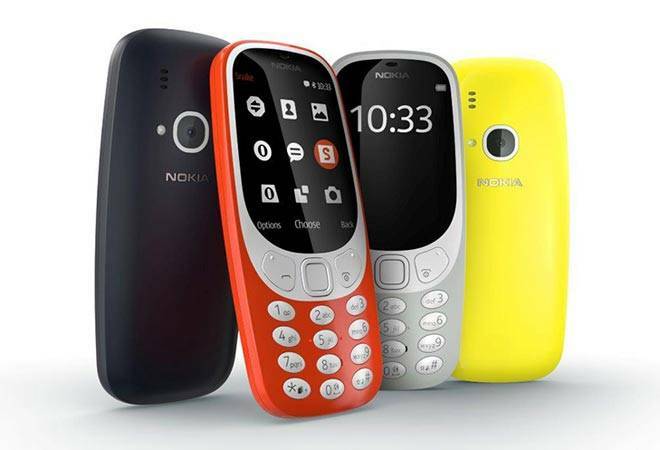 The legendary Nokia 3310 is back and it also announces the grand comeback of the Nokia brand in the feature phone segment. The device was introduced on Sunday along with four mid-range smartphones. Back in 2000, it was titled as the most popular device of that year. 17 years later it's back to compete with its taller, slimmer and sophisticated successors. Conventionally, one can hardly talk much about a feature phone and its specifications but when it comes to the legendary Nokia 3310 there is no falling short of words. However, here we'll try to re-introduce the iconic phone and take you 'back to future'. Though the name and company is the same, the entire brand has been refreshed with its new license owned by HMD Global, which is led by ex-Nokia executives and backed by Chinese electronics giant Foxconn. When compared to the classic Nokia 3310, the new device has slightly bigger screens but it still retains the retro-pixels that the brand was famous for. Despite being old technology, the new Nokia 3310 has big shoes to fill. Back in 2000, the device made it to the hall of fame mainly due to its extremely durable built. The new Nokia 3310 seems to live by the same ideal, but only in an extremely bright skin. The subtle and mellow blues have given way to Warm Red (Glossy), Dark Blue (Matte), Yellow (Glossy) and Grey (Matte). Apart from the build, the original Nokia 3310 had a monster of a battery. The device could stand the beating of time with grace. The new device claims to be the same in this segment, offering 22 hours of talk time and up to one month of standby time. The battery life will easily make it a viable secondary phone. The device sports a bigger 2.4 inch coloured screen which also lets you play the good old Snake game in colour. The device is priced at 49 euros (roughly Rs 3,500) which might get slightly cheaper for the Indian market considering the existing competition in the segment. Though the launch of 3310 seems like Nokia's grand entrance in the feature phone segment, the company is still focusing heavily on smartphones. Nokia 3, Nokia 5 and Nokia 6 will run on Google's (GOOGL.O) Android platform. The Nokia 6 smartphone comes with a 5.5-inch screen, the Nokia 5 with a 5.2-inch screen and the Nokia 3 with a 5.0-inch screen.